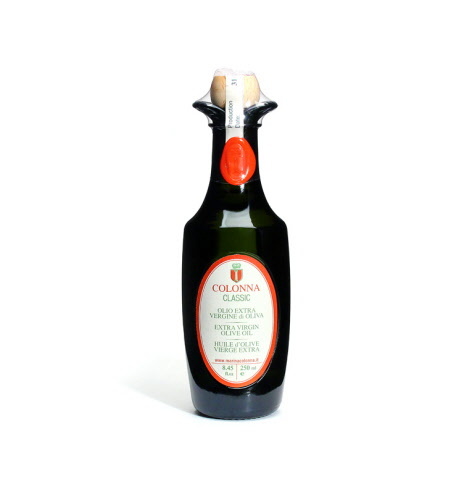 This estate-bottled, unfiltered Colonna olive oil is made from specially selected olives grown in the region of Molise south of Rome. Regional olive varietals are separately harvested. The cold-pressed extra virgin olive oil is then blended to maintain the consistent quality of the oil.